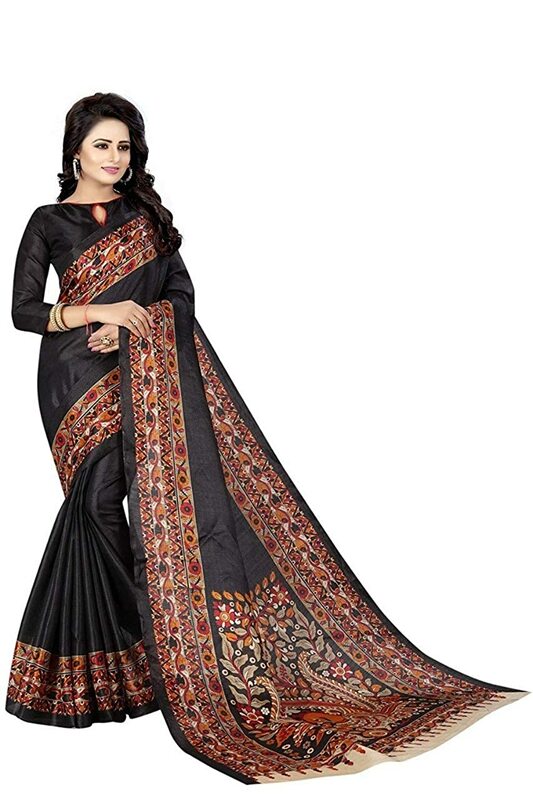 Floral Trendz Womens Khadi Silk Art Desiner Printed Saree With Blouse Piece. Description: Every color says your mood and reflects your personality, so we create all the shades for enhancing your beauty. Step into enchanted territory as we invites you to explore the language of texture with origami details, ruffles color, electro style. The true mystery of excellent fashion and design is revealed with this exotic collection. You will look like a true diva in this lovely piece from our collection. As shown in the image salwar and dupatta comes along with this to add the glam. The changes of fashion trends are the additional proof of this passion of man kind, which convert in latest and modern design.size : 5.4 m + 0.75 m approx.